Your No.1 Source for Free Bingo, No Deposit Bingo, Signup Bonuses and More! 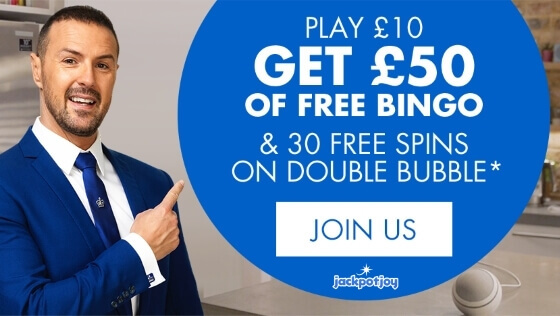 If you are looking for a website that can instantly show you all the best online bingo offers including no deposit bingo, welcome bonus, hot promotions, reload bonus, alongside high-quality bingo reviews and recommendations, then you have come to the right place. Here at 5 Star Bingo, we are looking for just that, the online bingo websites that can achieve 5 stars. Not all will get there, however, we will still show what we consider are the best out there in the wonderful world of online bingo. You will certainly find some firm favourites and extremely popular sites such as Jackpotjoy, Heart Bingo, Costa Bingo and William Hill. 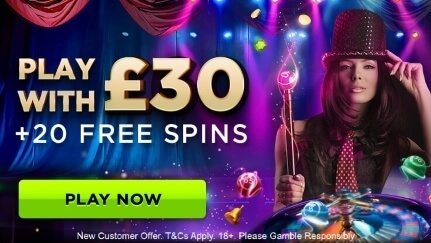 However, we will include at times worthy sites to mention that might be slots only such as the great Starspins or maybe even the odd casino or two. We know that everyone’s taste can be different, therefore, we do our best to cover a broad range of online bingo sites and their offers. 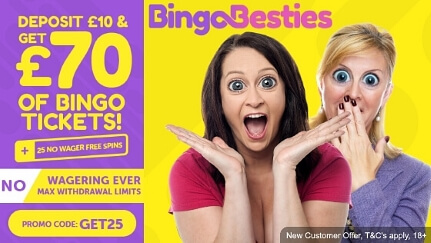 Many people like to try a bingo site first, so why not check out our No Deposit Bingo section where you will find offers to receive bingo bonuses for free. 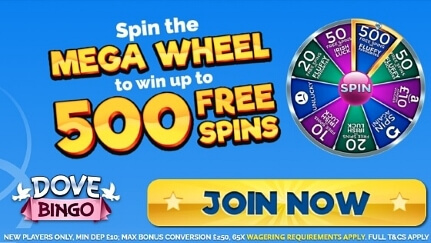 If you fancy more free bingo cash, then the Signup Bonus area will show you which online bingo websites are offering the best deals for your money. 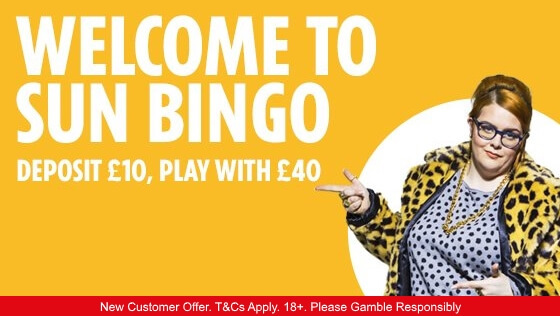 The Promotions Area of our website details many of the regular bingo offers that are available, however, we will also detail the big monthly specials that come around. These at times can even include winning as much as £1 million. Therefore, you may want to bookmark our site so you can check back frequently. You don’t want to miss out on any big cash prizes or holidays. If you want to find out a bit more information regarding one of the online bingo websites that we have included, then check out our Bingo Review section where we go into more detail about what that online bingo site is all about and then give our overall star rating. So enjoy your visit to 5 Star Bingo, happy bingo hunting and we hope you come back to see us again real soon.